Seems I came home from our Summer beach vacation with a few pictures. Okay, a lot of pictures. 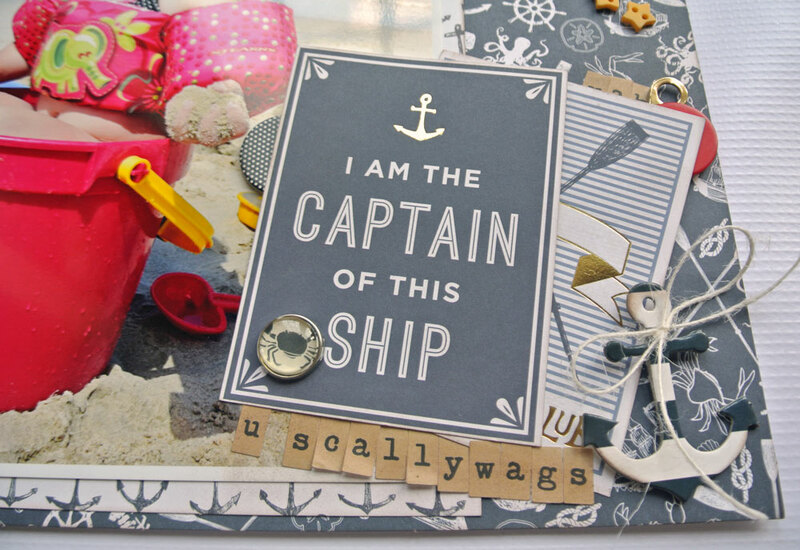 So imagine my excitement when I opened my DCWV box and spotted the brand new Seaworthy Stack from Hobby Lobby. Swoon! While my pictures were printing I began pulling out my favorite prints from the stack. Between the various shades of blues, fabulous sea patterns and gold touches I think I grabbed almost all of them. I also had trouble narrowing down my pictures of Hartly playing with her buckets, so I thought a double page layout would be a good place to start. Her expression in the first picture still makes me giggle. And once I got started working on my vacation pictures I couldn’t stop. 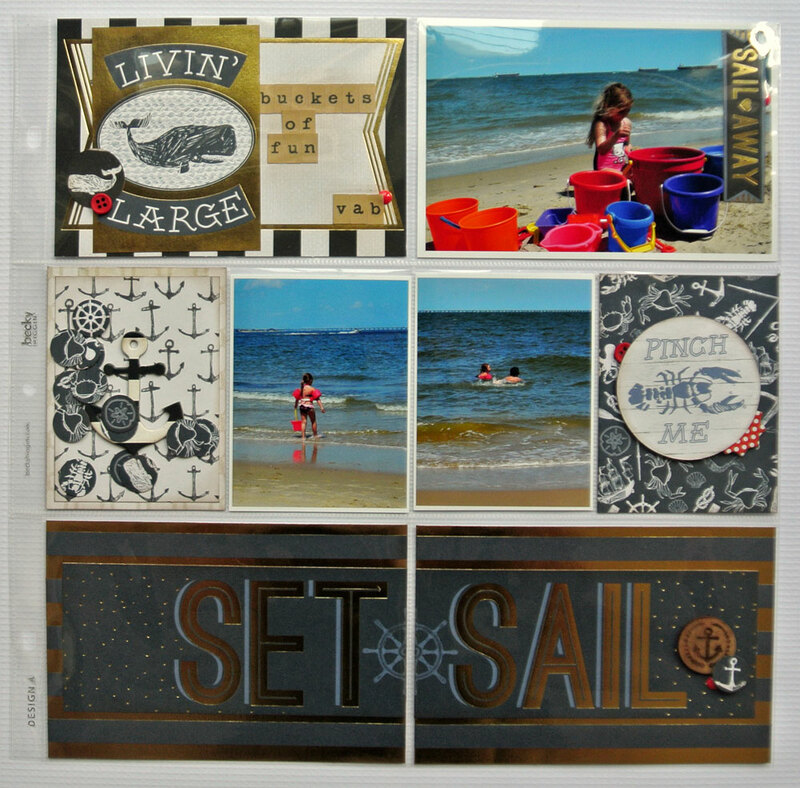 The print I used for the base of this layout is hands down my favorite. 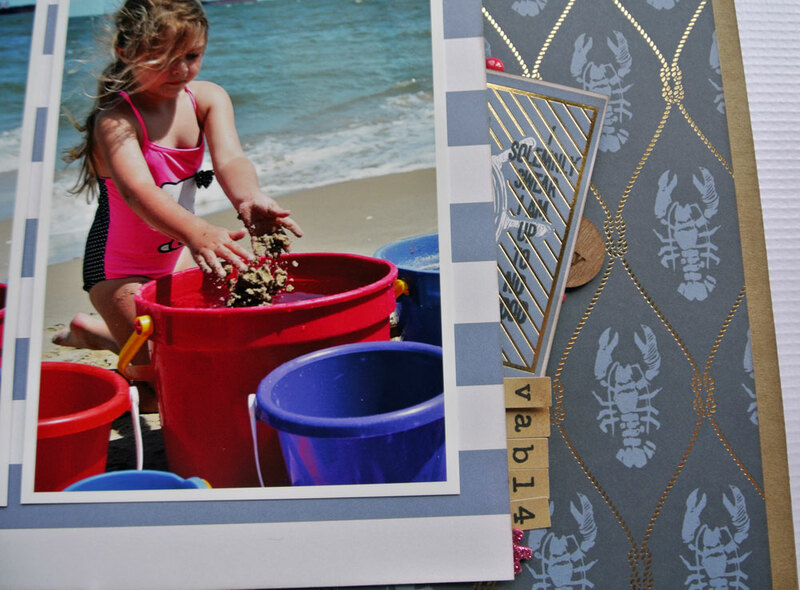 I used a small circle punch to create matching embellishments including a crab brad and sea creature confetti. To balance my oversized picture layout I used the many wonderful journal cards to create a pocket page. 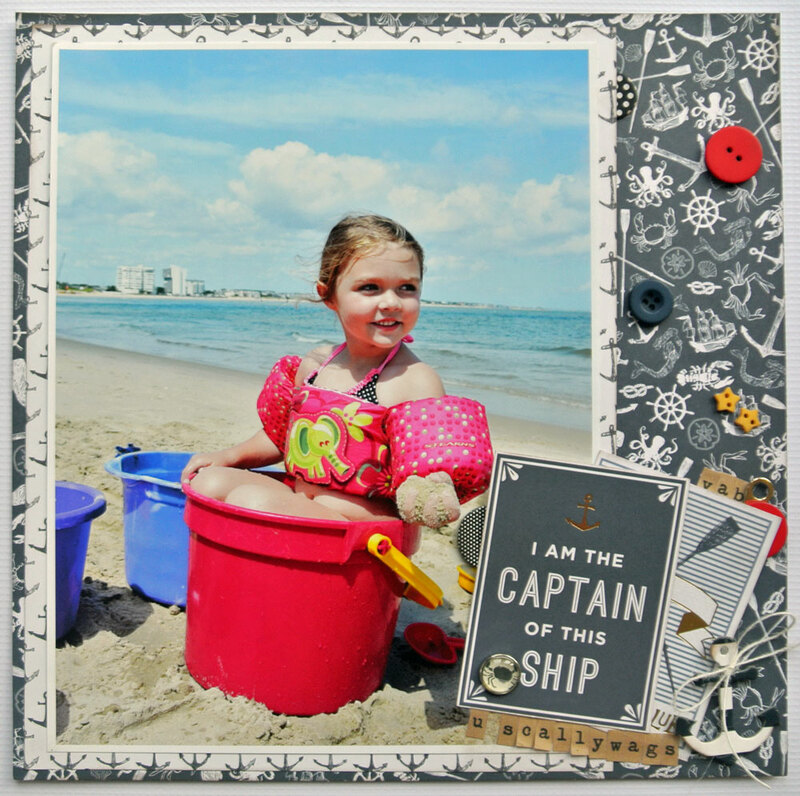 So if you happen have a few or maybe even a hundred beach vacation pictures like me lying around, you might want to run to Hobby Lobby and pick up the new Seaworthy Stack. I know I’ll be grabbing an extra. 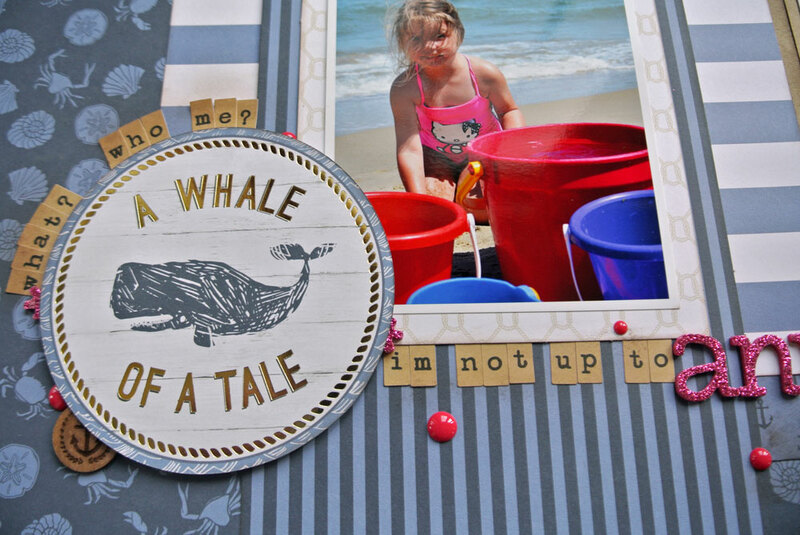 Make sure you head to the DCWV blog to see projects made with the other newly released stacks!! Love the paper and how great it goes with these layouts!